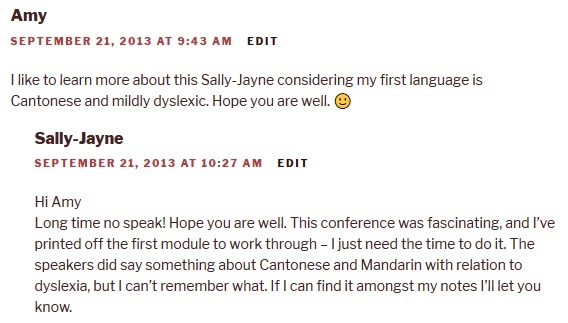 Languages, Dyslexia and Free CPD! On the first day of my summer holidays I headed off to Shropshire for a Dyslang event, having decided that anything that combines my two big interests – languages and dyslexia – had to be worth giving up a day of my holidays for. It was about the problems faced with teaching multi-lingual individuals who have dyslexia. Difficulties in even diagnosing dyslexia can arise because of the influences of the individual’s first language (for example they may use a different script, their language may be read from right to left, there may be sounds in English that don’t exist in their first language). 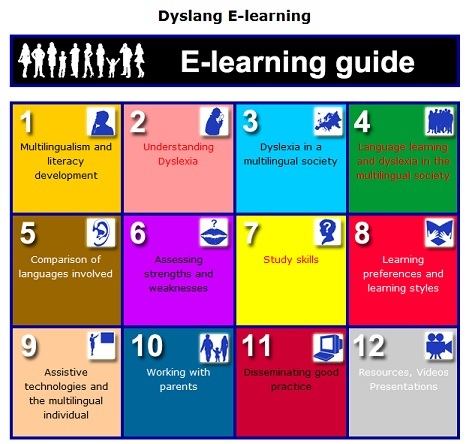 I don’t want to write a whole post about Dyslang because they have a website which will tell you all you want to know about they do – you’ll find it at www.dyslang.eu. What I do want to do is to tell people that there are 12 e-learning modules on their website which are completely free – all you have to do is register. Free CPD – what more could you ask for? Our brains function differently depending on our first language and culture! The brains of people whose first language is English have a phoneme-grapheme correspondence function, but because not all of our words are phonetic their brains also have a word recognition function. The brains of people whose first language is a phonetic one, such as Italian or Spanish, have only the phoneme-grapheme recognition – because they don’t have any non-phonetic words, they don’t need to recognise words that don’t follow the pattern, so the word recognition function just doesn’t exist. Amazing! This is another guest post from Natalie, who wrote the fabulous “Teachers – it’s time to face the music” post about teacher stereotypes. She has more to say, and this time it’s the modular changes to exams that she is angry about. Take a deep breath. One heartbeat. Two heartbeats. A slide, a scan, a sigh. It’s over – you know them now. All the hard work, all the agonizing over dates and names and numbers; it comes down to those few letters on a page. And then, whether they were good or bad, you move on and make plans accordingly. This year, like so many others 17 year olds in the country, it was in that unforgettable, nervous, sweaty-palmed fever that I got my AS level results. I am, however, one of the last to ever do so, because next year that qualification will no longer exist. Mr Gove and Mr Cameron are changing current examinations to cut out modules, which they say are making a mockery of the system. According to the new government changes, re-sits must be quashed and the old, final examination system has to be brought back in (a system where students sit one set of exams after two years at both GCSE and A level). As a young person interested in bettering my future, I could not disagree more. Let’s start by ignoring the fact that countless headteachers and school boards have rejected the proposals (after all, that’s what the government and Ofsted have done), and just look at the impact that changing the system will have on students themselves. 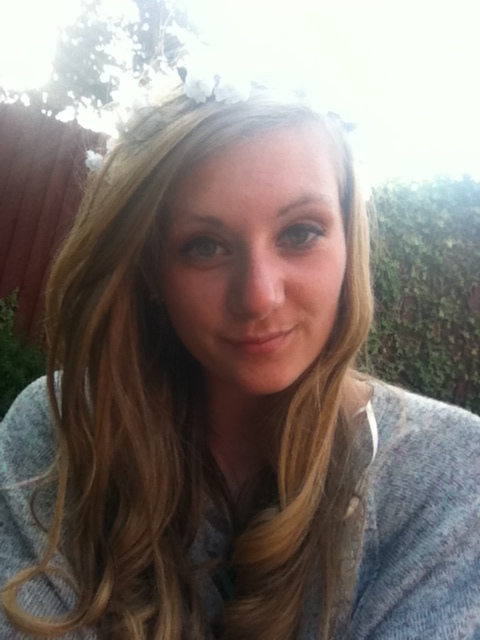 When I entered Sixth Form last September, I had no idea how difficult Year 12 was going to be. I had no idea how much work I would have to put into my AS levels. With exams looming in January and June, however, I soon found out. Those initial exams are a crucial wake-up-call to every single student that decides to take A levels. Without them, there is no way that either myself or my friends could have achieved what we had hoped for this summer. And now, with one year left, we can make informed decisions about our futures. Some people will have to change their university plans, realising that perhaps lower entrance requirements are more realistic. Others might drop A levels all together and take up an apprenticeship or a job. A few may re-take the year, giving themselves a valuable second chance. Remove the AS modular system and this will not happen. Students will flounder for two years, convinced they are doing enough and that it will all turn out fine in the end. For those students, results day will really be a nasty shock. The government counters this argument by saying that the final examination system worked in the past and will work again. To say this, I feel, is to be completely ignorant to the fact that the world of work and education has developed dramatically. Since the modular system was brought into A levels in 2000, we have changed as a nation in unthinkable (and not always positive) ways. Jobs for young people in Britain are now scarce, youth unemployment is high, and the value of a university degree is not only academic but sensible – why not study for a further 3 or 4 years and wait out the economic storm? Why not better your chances at finding a job in the future? The expectations of young people are that much higher now too, as we are repeatedly told that we must compete with nations across the globe. How can we do this if less people are going into higher education? How can we start to repair the economy of tomorrow if we are not given the opportunities to do so today? After all, employers are not going to know if you sat the 2014 system or the 2015 system. They will simply see your qualifications as they are. For me it all gets a bit personal too, because if I had been born 4 days later I would have been in the year below, putting me in that new final examination system. I am beyond grateful that this isn’t the case. On top of this initial problem, there is the ever increasing pressure that this sudden change will bring. Balancing an entire future on one set of exams seems absolutely insane to me. One bad day can change everything, and that simply doesn’t work when the stakes are higher than ever before. A level examinations have always been intense, but over the last few years this intensity has multiplied threefold, as my parents’ and grandparents’ generations have told young people that the system will not allow us to achieve. We are told to reach for the stars but are apparently embroiled in incompetence that ties us to the ground. Our exams are ‘easy’, our learning ‘bite-sized’ and – this is the most common thing we hear – we are given too many second chances. Quite frankly, this makes no sense. As far as I am concerned, second chances are not bad. In fact, I see them as necessary. Students need to be taught that hard work, and nothing else, leads to success. The most effective way to prove this to young people is to let them experience it first hand – to show them what happens when you do not work hard enough. Is that not what the government wants? A generation that understands what it means to work hard and persevere? Modules encourage this by showing students their potential futures at the end of one year of A level study. This gives them a choice – work hard or give in. It is only by using this system that we can learn the value of hard work, something that pushes people to advance their futures. I have seen this transformation myself in some of my closest friends. It works, and consequently they work. The government also claims that by removing the modular system they will make exams harder and stop the current ‘dumbing down’ of students. Not only am I shocked at the lack of thought put into this, but I am also insulted, and I have every right to be so. I am not naive, and I know that allowing countless re-sits is not sending the right message to students. However, I also know that the exams I sat this May were not easy. If Mr Gove disagrees with me, he is welcome to try a few. How belittling, how infantilizing, how patronising to say that the exams we work tirelessly for are easy! It is completely unfair to say that one year ‘had it easier’ than the other in the same way that it is impractical to pretend that a string of results reflects a whole person. Not everyone is an academic, but that doesn’t mean they don’t deserve the chance to go to University and further their study. After all, modules reflect working life much more than the final examination system does. No employer allows their employees to mess around for two years and then produces a test and expects them to get 100%. In the real, working world employers expect consistent hard work, and modules teach such consistency in a very structured way, giving students employable, transferable skills. Where exactly, I must ask, is the problem? In the end it comes down to the simple fact that the proposed radical changes to the examination system will affect negatively on students and their exam results. That this is true I have no doubt. And yet, it appears that these changes will take place anyway. Given this, I call upon the government to give us the other part of the plan. Because surely if you are going to make it harder for students to get to university, there is a plan to provide for them elsewhere? Some super-duper apprenticeship schemes set to roll out across the country? Some foot-in-the-door tips and advice to give young people a chance at finding work? At the very least a plan to reduce youth unemployment? Please, do reveal all. I was always told as a child that you shouldn’t take one foot out of the canoe unless your other foot is firmly in another. It’s too risky. When it comes to my future, I don’t want to take risks, but want to feel supported by a government that believes in my generation’s ability and wants to help us achieve. Instead we’ve lost both canoes and are facing the reality of plunging into murky, uncharted waters. Take a deep breath. One heartbeat. Two heartbeats. A slip, a crash, a fall. What do you think? Are these changes a bad idea? Leave your thoughts in the comments below. Natalie has a lot to say on a lot of different subjects, so if you want to read more of her writing, visit her blog Life as a Unicorn. A friend of mine has just blogged about making some calm down jars for her class. They are essentially some gloopiness with glittery bits in so that angry or upset children can hold them and watch the glitter fall to calm them down. This sounds like a great idea to me, and I may well follow her example and make some for my new class. If you want to see exactly how she made them, along with a couple of pictures, then check out her blog post: Calm Down Jars at Anna Halford’s blog.